As reported by Variety, Disney has announced the release date for the first wave of Star Wars: The Force Awakens-branded merchandise: September 4. Disney is even planning to turn the day into a celebration of capitalism called “Force Friday,” with Disney’s own stores and “major retailers worldwide” opening at midnight so consumers can spend as much time as possible buying lightsaber replicas and Poe Dameron action figures. 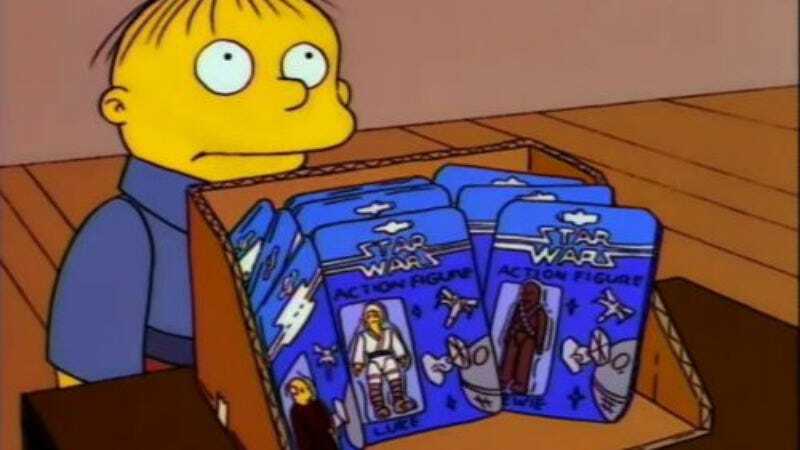 Plus, because only an adult buying Star Wars toys for him/herself would be at a Target or whatever at midnight, nobody will have to have that awkward interaction with the cashier where they lie and say they’re buying the toys for a son/daughter or niece/nephew. Finally, for one glorious night, everyone will be free to spend hundreds of dollars on Lego sets without feeling judged. As you can see, this box is for Product Name, a brand new product description that can feature callout and feature callout. There’s also a picture of new bad guy Kylo Ren. If all of that doesn’t get you excited to spend some money, then you need to reevaluate your financial priorities.